I had the beef, and added to it sheep fat and bulb onion. Made mince fro it, add black pepper, salt, and mix it. 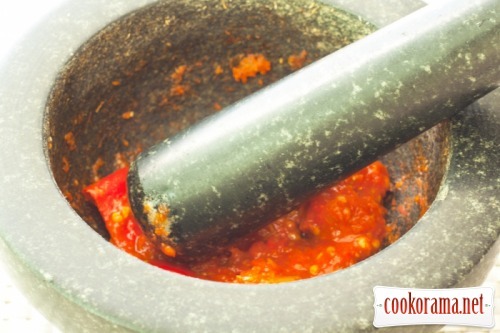 That`s how I will cook «traditional» Moroccanian Harissa sauce (or almost Harissa – adaptated by me), I didn`t add any other spices to meat. 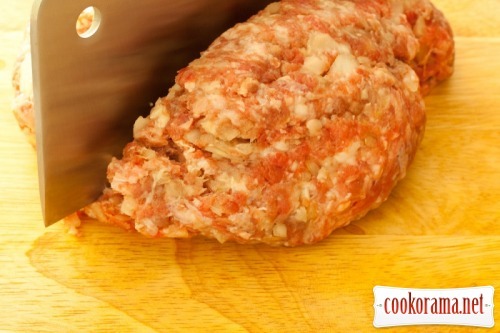 It`s very important to mix the mince well. Take it into a ball and spanked with a force on a cutting board. Two hors. If you are lazy-one hour. But not less than 30 min. 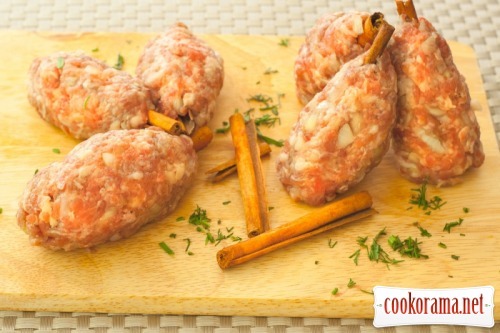 On cinnamon sticks form kebabs. Leave some part of the stick to handle it. Put them on the grille in the oven. Under the grille put the pan covered with foil. At 200C for 15-20 min. You can carefully turn them once. 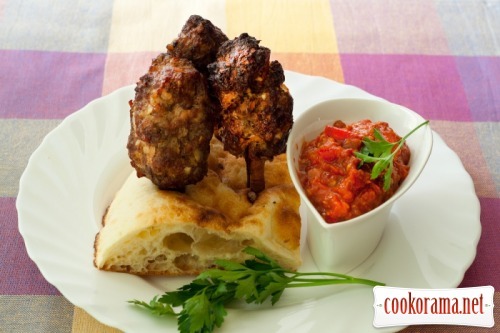 This Harissa is prepared from a large number of hot peppers, I can not stand so much! Cut along one red hot pepper, remove seeds and partitions, pour with hot water for 30-60 min. Put on the heat saucepan with mashes tomatoes, and put there hot pepper. Mix the tomatoes and wait for water to boil. warm coriander, caraway and cumin on a dry frying pan for smell. And then rub seeds in a mortar. Proportions? As you wish, near 1-2 teaspoon of each. 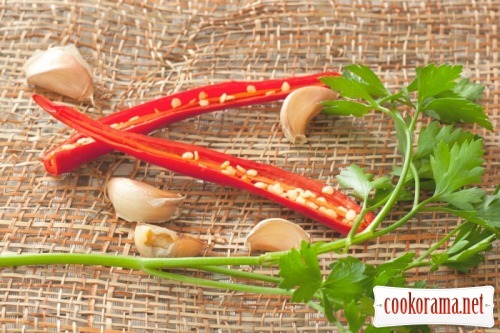 Put peeled cloves of garlic in a mortar and continue to rub. Get the hot pepper from the tomatoes and rub it too. You think I'm going to show in the photo, how to rub spices? I'm just bragging my excellent mortar! All pounded spices add to stewed tomatoes. Add salt, pepper black pepper, a little sugar and vinegar — all strictly on the eye, to your taste. 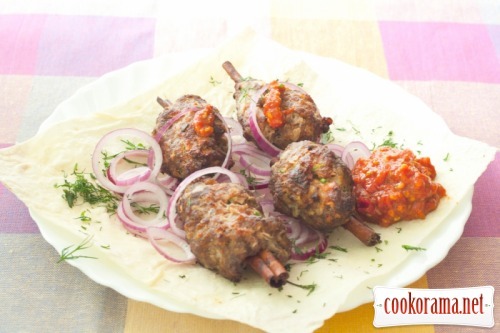 Ready kebab serve on the flat cake and always — with Harissa. And you can serve a thin pita with onion rings and again with Harissa. PS. Yeah, almost forgot! When kebabs were cooking — the smell was amazing. The smell of cinnamon, spices and roasted meat. Recommend you! 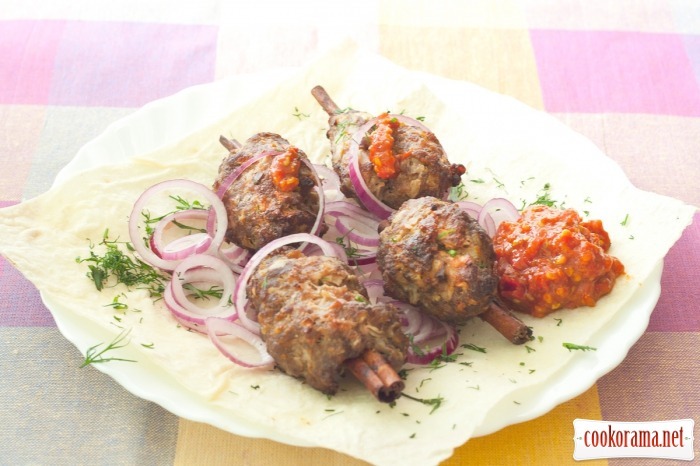 Top of recipe "Kebab by Moroccanian motives"
Цей запах дійшов і до нас. Це справді щось!